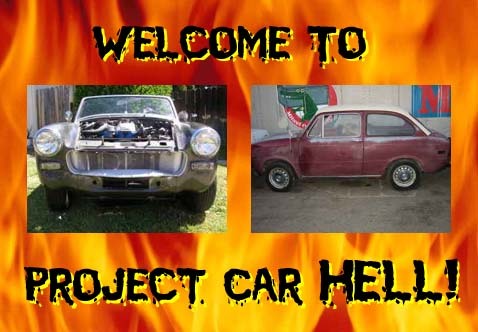 MurileeMartin.com » Blog Archive » Project Car Hell Car #1 Back On the Market! Jaguar XJ12 steering wheel installed. Wiring the dash, starting the engine. Rewiring the car from scratch. Seat used in Illegal Soapbox Derby car. The 20R Sprite Down On the Street. Scoring Midget lever shocks at junkyard.